In this tutorial, you will learn how to export articles ready for AMR. Assuming you have set up the campaign, and you are on the Link Settings window. 2. 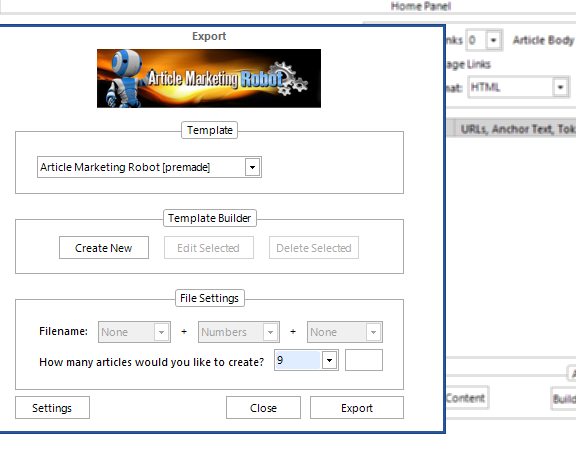 From the Template drop-down menu select Article Marketing Robot(premade). 4. Select how many files you would like to create from the drop-down menu in the “File Settings” panel. As you will see, KontentMachine takes care of everything – categories, tags, titles, article body, summary and resource boxes.